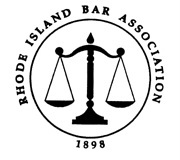 Rhode Island DUI Defense Attorney Matthew L. Fabisch - "I aggressively defend your freedom and right to drive after a DUI charge"
In Rhode Island, drunk driving is charged as Driving Under the Influence of Intoxicating Liquors (also known as DUI, OUI, DWI, drunk driving, and driving while intoxicated). The Rhode Island Drunk Driving statute, R.I.G.L. 31-27-2, makes it illegal to " drive or otherwise operate any vehicle in the state while under the influence of any intoxicating liquor, drugs, toluene, or any controlled substance." DUI cases are very complicated, requiring a thorough understanding of traffic laws, search and seizure laws, implied consent laws and scientific evidence. If you have been charged with any of these drinking and driving related offenses in Rhode Island, allow an experienced attorney to put his experience to work for you. Contact the Fabisch Law Offices at 401-324-9344 to see how I can put my training and experience to work for you today. As an attorney dedicated to protecting your rights in court, I will review your case in detail, identify the state's weaknesses, and aggressively advance your case. Whether the officer offered you a reasonable opportunity to obtain, at your own expense, a physical examination by a physician of your choosing. Once I have reviewed your case, I will file the appropriate motions including motions to suppress evidence and/or motions to dismiss and I will aggressively advocate for your rights in court while preparing for trial. Call now to set up a free half hour, no obligation consultation to discuss your case. DUI and Refusal are serious offenses. Gone if they ever existed, are the days when a DUI conviction resulted in a slap on the wrist and a small fine. 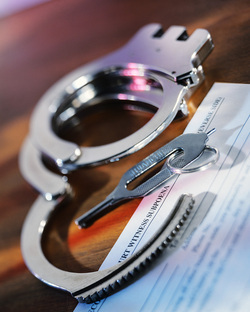 These days, the penalties for a DUI conviction can include jail, thousands of dollars in fines, court costs, and driver retraining schools; a prolonged period of license suspension and a loss of the right to register vehicles; and many hours of community service. In addition, a DUI conviction can result in the loss of your job, a dramatic increase in your insurance premiums, and a loss of your reputation and standing in the community. The costs for subsequent offenses are even greater. Don't go it alone. Attorney Fabisch regularly obtains favorable outcomes for his clients, saving them thousands in expenses, time, and reputation. If you were recently arrested for DUI, call Attorney Fabisch today and allow him to put his ingenuity, experience, and determination to work for you. 401-324-9344.